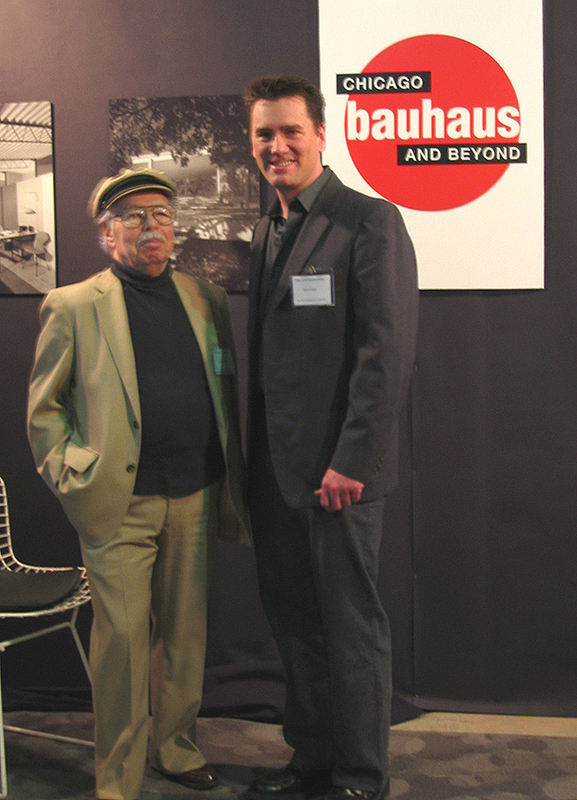 Chicago Bauhaus and Beyond had a booth at the First Annual Chicago Modernism Show, April 2-4, 2004. We were delighted to inform hundreds of Modernists about our new group, and were excited at the reception we received. We more than doubled our membership that weekend! 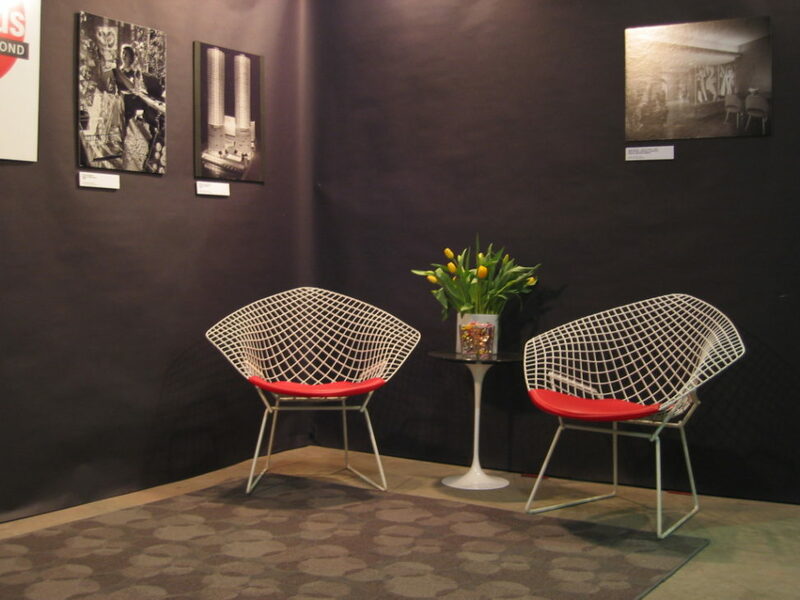 Our logo, designed by Allen Porter, a former student at the Institute of Design and professional graphic artist, designer and teacher, was prominently displayed, along with six great photos of people and places related to Chicago-area 20th century modernism. The vintage photos were by Hedrich-Blessing and were obtained from the Chicago Historical Society. Included were photos of: Edward Dart’s house (1952); the interior of the Fagan House by Keck & Keck, with interior design by Marianne Willish including a glass art screen by Archipenko (1948); Frances Higgins in her art glass studio (1953); a scale model of Bertrand Goldberg’s Marina City (1960); an interior view of A. Quincy Jone’s experimental modernist house in Research Village (1955); and an exterior view of Mies van der Rohe’s Farnsworth House (1951). We also featured a slideshow of more photos by Joe Kunkel, Joan and Gary Gand, and others, presented by John Champion. We sold T-shirts with our logo, signed up new members, grooved to vintage retro lounge tunes, and had a great time!